Our selective admissions process allows us to round out each cohort with a diverse group of skilled and highly motivated students. When you’re accepted into Bootcamp, you’re joining a community of driven people who share your career goals and values. What follows is a life-changing nine weeks that will prepare you for a career transition, forming lasting friendships along the way. Our Bootcamp is challenging, for sure, but you’ll come out of it primed for success and incredibly proud of yourself. As the only school in Canada offering Income Share Agreements*, every Canadian now has the opportunity to pursue a web development career with us. Students who choose to fund their education through Income Share Agreements will pay just a loonie up front. Once a graduate is earning $50,000 per year or more, they pay back 17% of their income to HackerYou for two years. Incentives have never been more aligned between a school and its students. *Pending approval from the Ministry of Training, Colleges and Universities. We offer early acceptances on a rolling basis, so the sooner you apply, the better your chances are! 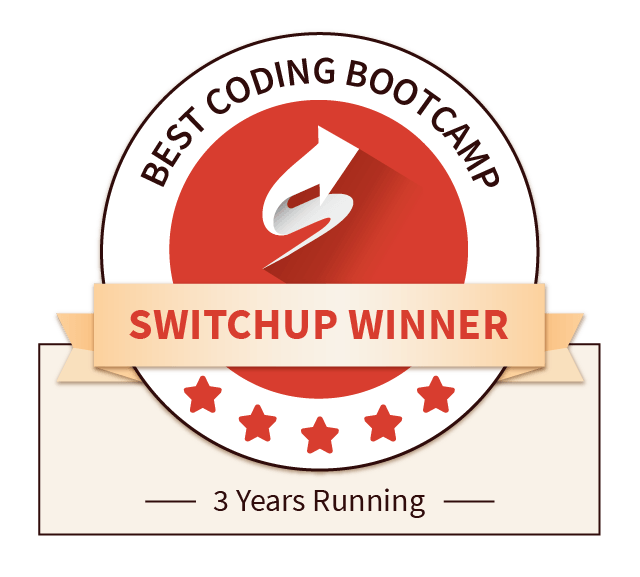 Your time in Bootcamp is about more than just technical skills. Below are a few things you'll learn. For a complete program overview, download the syllabus. Download our Web Development Immersive Bootcamp Student Experience Package to get instant answers to some of your most popular questions about our Bootcamp like Is this course for me? and What will it build?. You'll also receive a full lesson-by-lesson course syllabus, a look into the amazing HackerYou community, a preview of the new Beyond Bootcamp course, and an overview of what your next steps should be. All of our Bootcamps are nine-week, full-time commitments that run during the Spring, Summer, Winter and Fall. Pay 17% of your income for two years after you're hired, but only if you're making at least $50,000 a year. If you lose your job, payments pause and total payment is capped at $30,000. There are no discounts based on taking other courses. Have demonstrable knowledge of HTML & CSS. You will be required to successfully complete a technical assessment using HTML and CSS best practices in order to advance through the application process. Complete a recorded video interview, then attend an in-person or video interview in order to determine culture fit. If you’re new to coding, don’t be intimidated by our HTML & CSS pre-requisite. Most people who come to HackerYou started as beginners and gained the requisite skills through our part-time or Accelerated courses. Book a tour, and we’ll help you pick the right path! ...and people who are nice! Want to see HackerYou before making a decision? 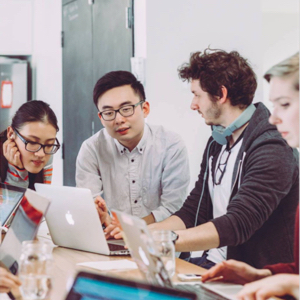 We consider your potential to thrive as a member of the HackerYou community just as much as your technical abilities. To begin the application process, you will complete a video interview and an HTML & CSS-focused tech challenge. Those who are successful will be invited to interview with a member of HackerYou’s team, either in-person or over video. We make offers of early acceptance on a rolling basis, so the sooner you apply, the better your chances! Our Bootcamp admissions process is structured to ensure that everyone accepted has what it takes to be successful not only as a Web Developer, but as a member of a development team and the tech community at large. During your learning journey with us, you’ll follow a proven curriculum that is constantly updated featuring industry best practices. From HTML to React, our instructors take care to create lessons that are hands-on, exercise heavy and perfectly paced. Group work, portfolio projects, weekly presentations, and afterhours mentor sessions will deepen your knowledge of each topic. And don’t forget about Beyond Bootcamp, the six-week part-time course that starts two weeks after your Bootcamp graduation, designed to help you level up while you job hunt. 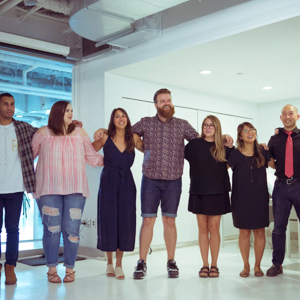 One of the best things about enrolling at HackerYou is joining our incredible community of alumni. Feeling stuck on certain concepts, or just need some support? We’ve got you covered. Just reach out on one of our dedicated Slack channels. You will also be paired with a “Bootcamp Buddy”: a past graduate who will be available as a support system throughout your experience. We also run after-hours mentoring sessions during which alumni volunteer their time to assist with that week's topics. Because learning new concepts eight hours a day for nine weeks straight can be exhausting, we make sure to balance out curriculum with a lot of fun. You can look forward to things like morning kick-off games, Salad Club on Wednesdays, Show-and-Tell on Fridays, and much more. Oh, and you’ll also have the opportunity to grab a fob for 24/7 access to the space. It’s not uncommon for students to come hang out and work on projects on the weekend or late into the evening. Sure, it’s going to be an intense nine weeks, but you’re going to have a lot of fun and make long-lasting friendships, too! Your job hunt officially begins on the last day of the Bootcamp, when you show off your newly minted portfolio to potential employers at Industry Day. After Bootcamp is over, we host a weekly meeting with you and your cohort-mates to support you as you transition from bootcamp to job hunt. Our Career Services department is there to offer one-on-one support, too - even once you’ve started working. Our goal is 100% placement, and because Income Share Agreements mean we only get paid when you get paid, you know without a doubt that we’re on your side. After your nine weeks of full-time Bootcamp are complete you will begin your job hunt, while participating in our part-time Beyond Bootcamp course. 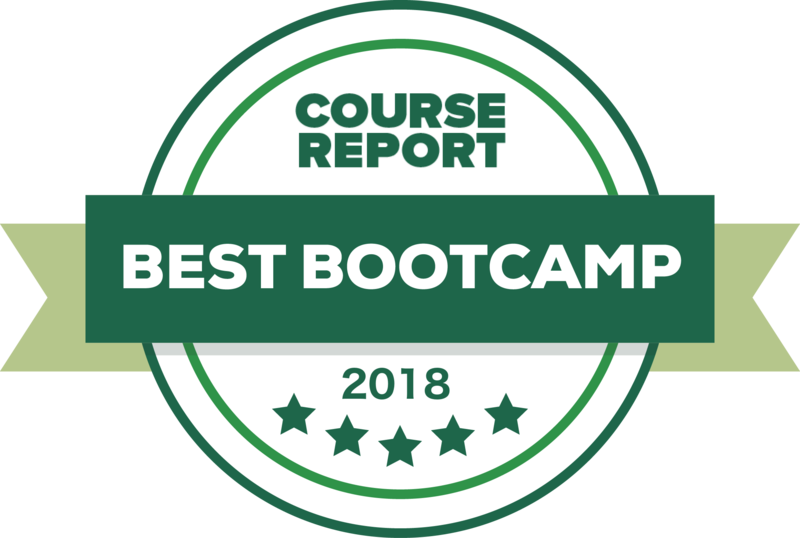 This six-week course that starts two weeks after your Bootcamp graduation is entirely bonus material, added to our bootcamp starting in 2019. The course runs twice a week in the evenings so that it doesn’t interfere with your job hunt. 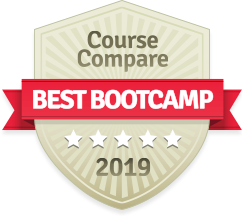 During this course, you’ll review some of the more complex concepts from Bootcamp and explore new concepts - all with the help of some of our most seasoned and talented instructors. Though over 80% of our bootcamp grads find employment within four months, we know that the job hunt can be stressful. That’s why we added this course - to help you prepare for interviews, level up your skills, and give you access to a support system during your job search. Learn more about Beyond Bootcamp. Learn more about Beyond Bootcamp. Meet your lead, supporting instructors and mentors for our bootcamp. In addition to a Bachelor of Education, Brent brings over 20 years of professional web development skills across a variety of companies from freelancing, agencies and start-ups. He’s currently HackerYou’s Chief Technology Officer, and leads the Bootcamp team. Zoe is an experienced front-end developer who has worked on products for Hyperloop, HBO, and Rolling Stone. In 2014, she had such a good time as a finalist at Cultivated Wit's Comedy Hack Day in New York that she brought the event to Toronto the following year. She's currently a lead instructor at HackerYou's bootcamp. In a past life, Asaf Gerchak was a barista and writer, but finally got tired of fields that were only marginally employable. He took HackerYou's bootcamp back in 2014 and has been delighted to be fully, wholly employable in a field he loves. He is currently one of HackerYou's lead instructors and is excited as can be about the whole thing. 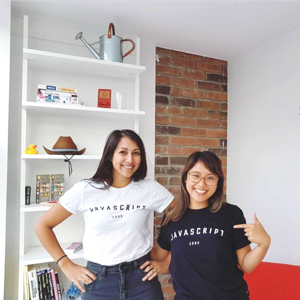 After graduating from York University with a Bachelor of Education, Jenny found her love for coding through Ladies Learning Code. She is currently HackerYou’s Head of Part-Time Web Development, where she shares her love for coding and teaching with the rest of the HackerYou community. Before joining the HackerYou team, Lead Instructor Adam McMillan was squashing bugs and customizing themes for Out of the Sandbox. On the side, he mentored HackerYou's Part-Time Web Development courses. He's passionate about three things: creating a welcoming environment for those new to coding, Batman, and tropical prints. For over four years Colin has been a full-time front-end developer building large enterprise applications. He was previously a mentor for HackerYou's Continuing Education Web Development courses and is currently a Lead Instructor for HackerYou's Web Development Immersive Bootcamp. After graduating from La Cite Collegial for graphic design, Fatima continued freelancing in that field and as a photographer. She always wanted to merge her design skills and the ability to bring things to life on the web and she found that by completing the Bootcamp at Hackeyou. Previously she worked as UX/UI Designer and interactive Front-End Developer and now is a Lead Instructor and Designer for HackerYou's Web Development Immersive Bootcamp. What kind of job support do you provide? I have no prior coding experience. Is the Bootcamp right for me? I’m interested in Bootcamp, but I’m going on vacation and might miss a few days. Can I still enrol? Can't find the answer to your question? Check out our full FAQs page.